Unlike a formal military, those who form a militia often must obtain their own high quality armor and protective gear. The Militiaman Armor offers the comfort and dependability that everyone needs in their defensive wear. This armor includes a pair of pauldrons that can be removed if desired. The back features two belts that allow this armor to be slightly adjusted for size, so you can be sure to find the perfect fit. Made from 9-10 oz. 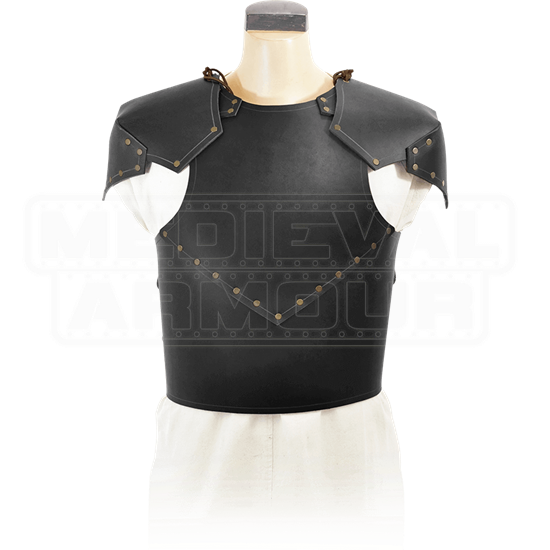 leather, this armor has good weight and strength, possessing the durability necessary to be used as costume armor or LARP gear. 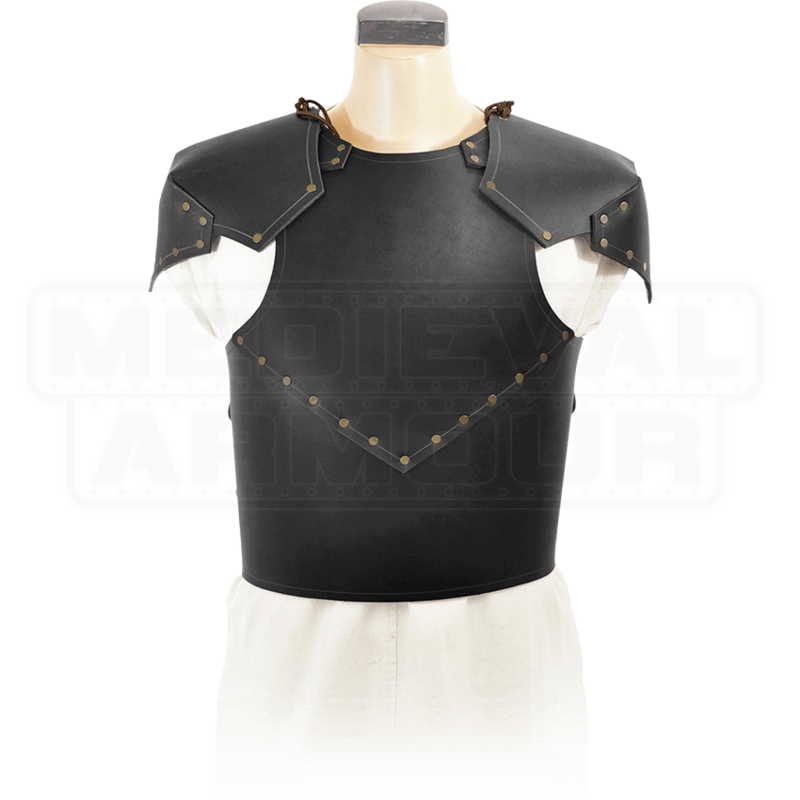 The Militiaman Armor is available in black or brown.